Paradise Masonry, located in Pennsylvania, recently designed and restored a residential outdoor patio in need of a contemporary look, expansion, and fresh atmosphere for entertainment purposes. 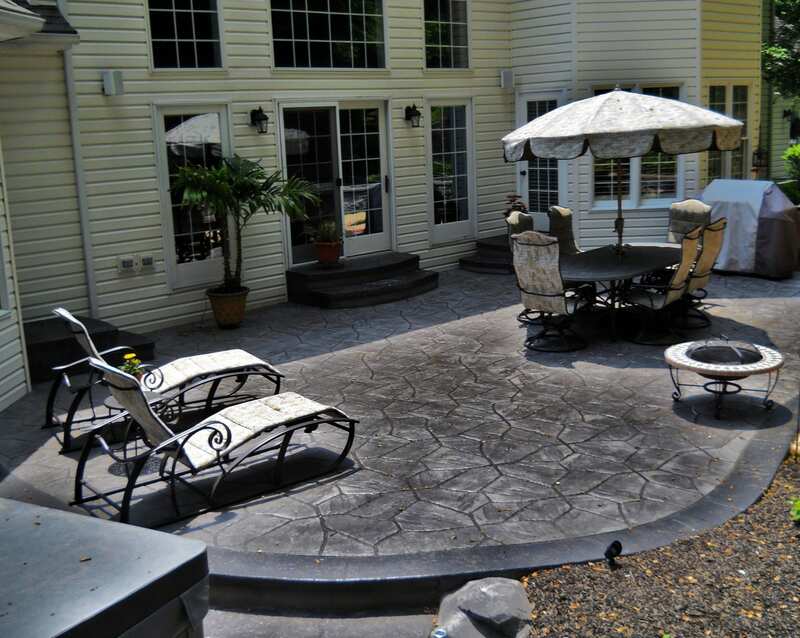 Paradise Masonry’s, utilized concrete coloring, stamped texture designs and top of the line decorative concrete materials to provide homeowners with solid and satisfactory results. The Michele Residence in Lancaster wished to expand their outdoor patio into a larger more accompanying entertainment area. The homeowners contemplated different design ideas and diverse building materials, but after much research the Michele’s found that the concept of stamped concrete was the most intriguing. Before beginning their refurbishing project, the family’s back patio had sunken and shifted paver steps, along with broken slate stones. As a solution, the family chose to refinish the patio with slate gray integral color, stone texture border stamping, Arizona Flagstone stamp designs and a California Fieldstone walkway. The textured designs used for the project, allowed for a natural stone look and an aesthetically appealing walkway offering more room for friendly at-home gatherings in a unique and eye catching setting. 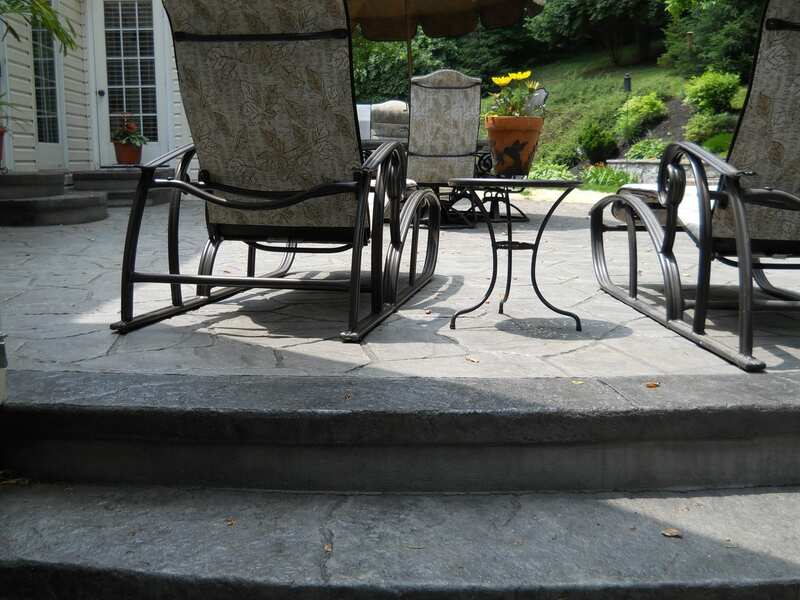 The Michele family’s project was carried out in quick fashion and with the proper design techniques incorporated by Paradise Masonry, previous complications with water run-off and patio flooding were eliminated. 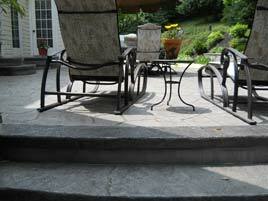 Paradise Masonry stands firmly behind their product choices. Homeowners, interior decorators and contractors will benefit from the diverse uses that decorative concrete has to offer.